One of the prettiest capes I've seen! done to perfection! beautifully decorated, hardwood, flexible floor plan, sun splashed bright living room w/picture window. spacious formal diningroom, beautiful, sunny bedrooms, renovated baths, large updated eat-in kitchen, door to covered patio and fenced inground pool. charming den and office in the lower level, great storage spaces. 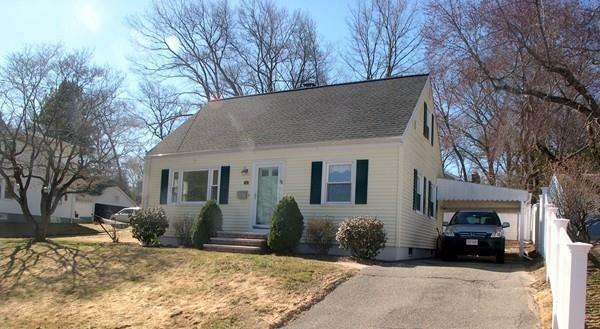 new vinyl siding /gutters, new architectural shingles roof w/ice &water shield, new landscape, beautiful granite steps/brick walk, newly refinished hardwood, new décor, new oil tank. Entertain in style, garden, play, relax! Close to all major roads/shops, in a picturesque community, this home has so much to offer. A gem!